A Ford Mustang was unbelievably split in half after being t-boned by a Mercedes-Benz at an intersection in Palmdale, California, reports Fox 11. According to witnesses, the silver Mustang that sustained the worst damage appeared to be racing a white Mustang before the accident when it couldn’t stop for a red light. The collision happened at 1:15 p.m.—right in the middle of the day. 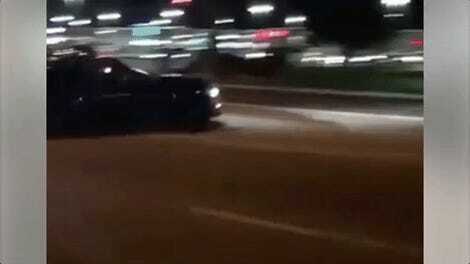 The white Mustang fishtailed as it tried to avoid traffic but ultimately ended up driving away. The silver Mustang was not as lucky, getting t-boned by a Mercedes that pushed the Ford into a traffic signal, ripping the car in half. 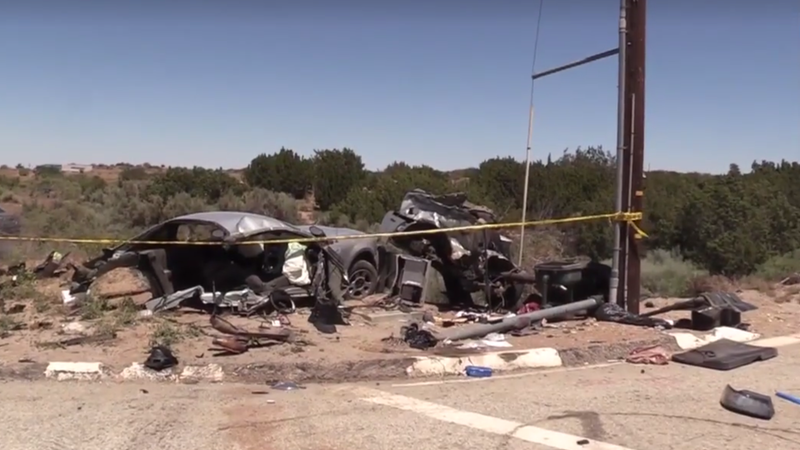 Two patients were taken to the nearby Antelope Valley Hospital, and Fox 11 reports that the passenger in the silver Mustang remains in critical condition. Everyone is expected to survive the crash. Normally, we’d be chuckling about yet another Mustang getting into a crash, but this one had some pretty severe consequences that aren’t chuckleworthy at all. Let this be your ever-so-often reminder not to do show off on public roads. There are plenty of legal places to get your speed on where you won’t get hit by an unsuspecting Merc, run into a curb, or heaven forbid, split your car entirely in half.